Most people don’t like the thought of exercise, because its not seen as fun. I believe that if you get into a routine, for a long enough period of time, then exercise becomes fun. I’m at a stage where I enjoy exercise. The word “addicted” carries a negative connotation, but when it comes to exercise, getting hooked is a good thing, you enjoy what English long distance runner John Tarrent called, “the magnificent feeling of well being”. But for a lot of people, fun and exercise aren’t associated with each other. And then along came Pokemon Go, bridging the gap between exercise and fun. Its an App that has been downloaded over 100 million times across Android and iOS as of July 31st. Pokemon Go is arguably the worlds most popular fitness app. Its a game that requires you to walk or run around, looking for Pokemon in the real world. Unlike step tracking apps and bracelets which guilt you into walking in order to hit daily targets, Pokemon Go has you accumulating steps without ever noticing, you’re too busy having fun. Pokemon Go is the gamification of exercise – making exercise fun like no other App has done before. The Xbox Kinect and Nintendo Wii have made some in-roads into the fitness as fun genre too, but Pokemon Go is the first mainstream attempt that moves you from your living room, to the outside world. The game doesn’t go beyond asking you to walk or run, but its a start. Because using the Nike Plus App and Pokemon Go at the same time nearly melted my phone, I no longer use Pokemon Go while running, so in order to hatch those Pokemon Eggs, I’m now more inclined to walk those short to medium distances that I used to drive. With any luck, the success of Pokemon Go will cause other app and game developers to come up with similar games, more gamification of exercise, and a healthier populace as a result. With the nice summer weather the gym can be a depressing place. Why am I training inside, with this artificial recycled air on this glorious summer day? This is how I used to feel in summer when I had a gym membership. I haven’t been a member of a gym in a while, I train a lot outside these days. A first I missed the gym, but now I love being outside. Getting out into nature and the fresh air helps promote feelings of wellbeing, I can’t explain why, but the outside has that effect on me. I especially like a hit of Vitamin D. The sun is great source of Vitamin D, which is essential for healthy skin. It doesn’t have to be sunny either, the sun is always up there, even in winter. 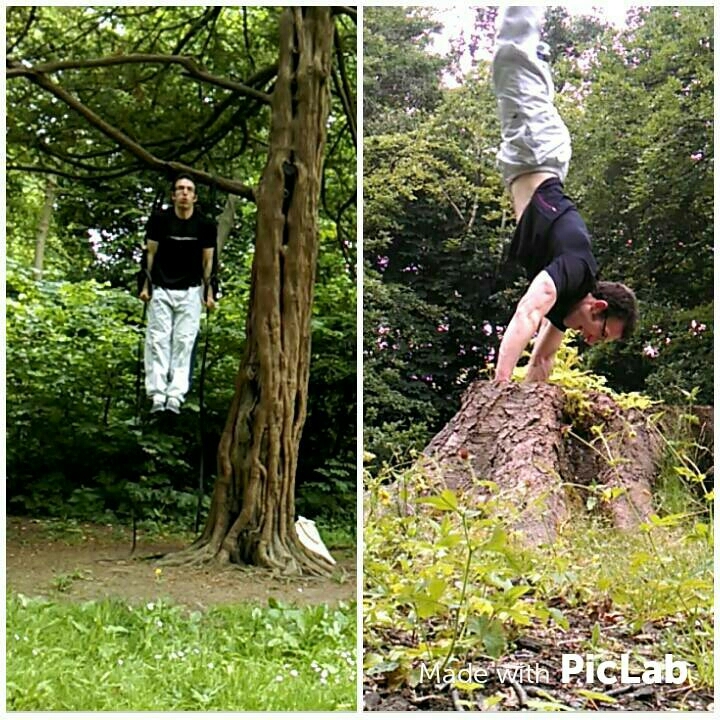 Training outdoors is good for mental stimulation too. The gym is pretty static, it doesn’t change much. Doing bicep curls staring at the same wall is so boring, running on a treadmill, equally so. In the outside world, you’ll see more. The constantly changing scenery excites and stimulates your brain. Now is the perfect time to try training outside because the weather is so great, but it doesn’t have to stop once Autumn and Winter come. Get used to being out in the rain, sun, day and night. You’ll get used to it, you’ll feel more alive.